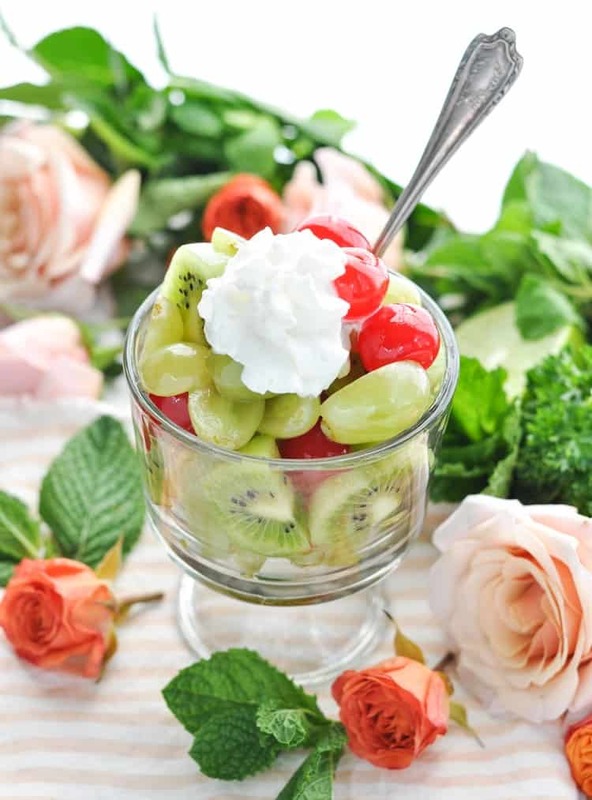 “Run for the roses” with an easy and festive Mint Julep Fruit Salad that’s perfect for Derby Day! 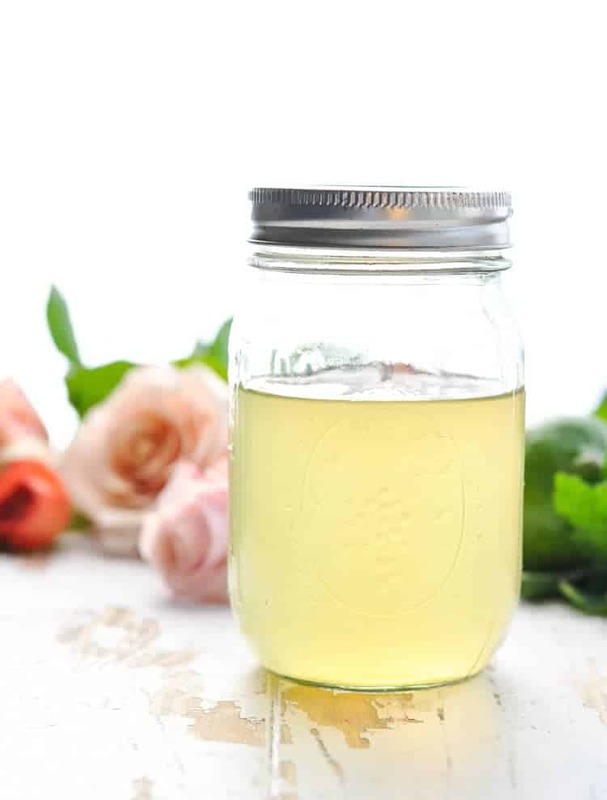 Whether you’re hosting a Kentucky Derby party, a bridal shower, or any other spring gathering, your guests are going to love the fresh lime-and-mint-infused simple syrup that dresses this sweet bowl of goodness (and yes…you can spike it with a dash of bourbon)! 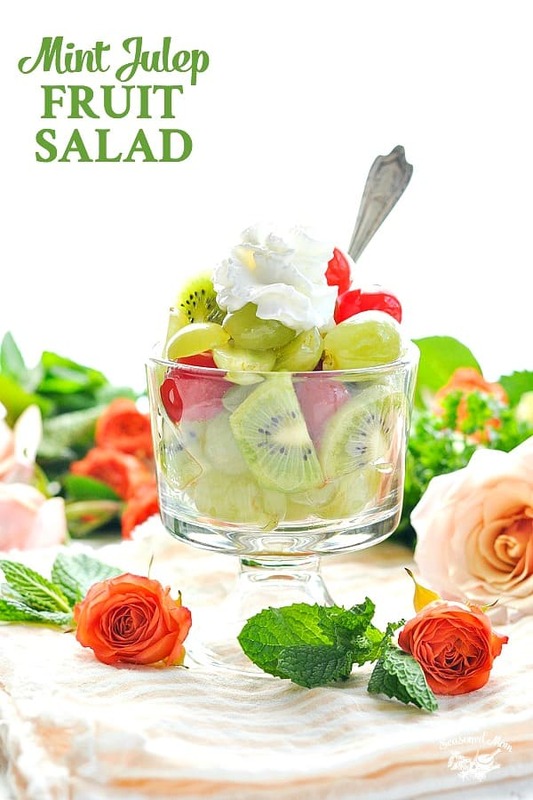 Since fruit salads seem to make an appearance at just about every potluck, brunch, or party this season, I thought that it would be fun to dress up the standard dish with a bit of a Southern kick! 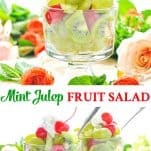 Inspired by the classic cocktail, this Mint Julep Fruit Salad is an easy twist on the traditional side dish. And nothing says “fun” like a shot of bourbon, right?! What’s a Mint Julep Made of? A mint julep is made with sugar syrup, fresh mint, bourbon and crushed ice. 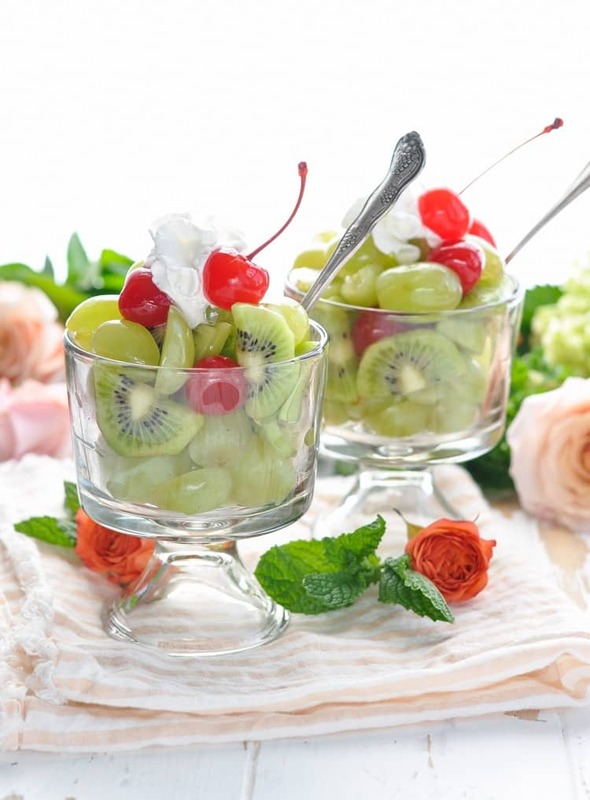 It’s super refreshing, delicious and a fun way to spruce up a plain old fruit salad. This particular salad is special because the simple syrup lightly coats it. The dressing adds a hint of sweetness and a boatload of fresh flavor to the fruit, since it’s infused with fresh mint leaves, lime juice, and lime zest. The addition of bourbon at the end is completely optional, but it definitely adds a lovely, festive touch! If you’re looking for a kid-friendly fruit salad, you can omit the bourbon entirely. If you like just a very subtle taste of bourbon, I suggest using 1 teaspoon of the alcohol. And if you’re really looking for a party, add as much bourbon as you like! I think 2 teaspoons of bourbon is perfect for a light touch that you can still taste, but 1 tablespoon works well too for a bit more punch. 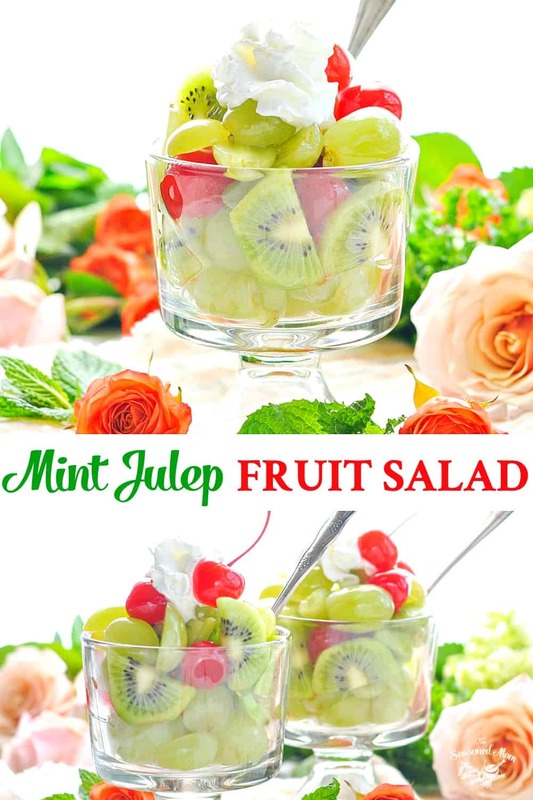 The Mint Julep Fruit Salad would be lovely served alongside a tray of our favorite Kentucky Hot Brown Sliders, with a batch of Derby Day Bourbon Brownies or my grandmother’s Bourbon Balls for dessert! We love the Kentucky Derby around here, and I can’t think of a better way to welcome spring or to celebrate with friends. So grab your big hat and your favorite party dress — the bourbon is optional, but highly recommended! This looks so refreshing and pretty I can’t wait to try it and share with my family and friends! I can’t wait to try this. My mouth started salivating by seeing this only. 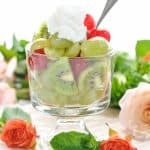 is my favorite and anytime you give fruit salad I will be ready to eat without any limit. And this is kind of different I guess. Because I saw some extra ingredients in the recipe. So I’m definitely going to try this soon and will definitely let you know, how it turned out. What a fun sounding salad for summer, can’t wait to try it!